The mural designed and painted by a group of year 6 students from Newtown School in collaboration with lead artist Kiri Hiha is now well under way in Carrara Park. Every Wednesday afternoon the Newtown Paint Up crew and Kiri are onsite transforming the Carrara Park Substation at 107 Daniell Street. Come along and check it out. Their colourful design was inspired by Newtown – its history, people, colours, food, smells, landscape and bird life. The students acknowledge their place, Newtown, for being the best place to live! 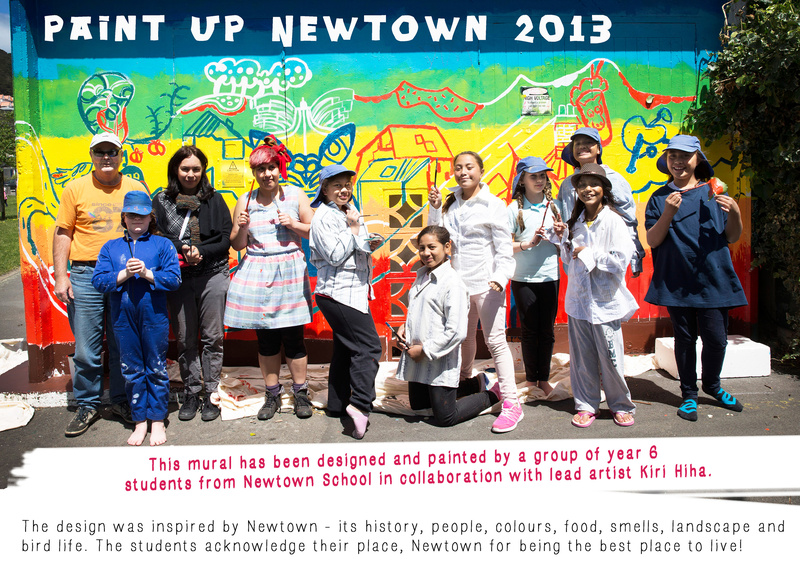 This mural plan has been a collaborative design process between Kiri and 10 young artists based at Newtown school, and is a reflection of how they see, smell, taste and feel about the community and landscape of Newtown. All of the images included in the mural are individual drawings from the young artists involved, in response to workshops that have centred around voices from the Newtown community’s past, present and future. The young people working with Kiri have listened to oral histories of the whenua from the local iwi, found out about how the neighbourhood has been shaped by the people who have built, settled and created “New Town” and have been actively encouraged to draw how they, as the future of Newtown, see and value this vibrant and rich little epicentre of culture. During each design session, the young artists were exposed to a different expert that held knowledge about the Newtown community. These little seeds of knowledge were shaped into visual representations of what the children had heard, talked about or seen or understood themselves about what makes up Newtown as a whole. 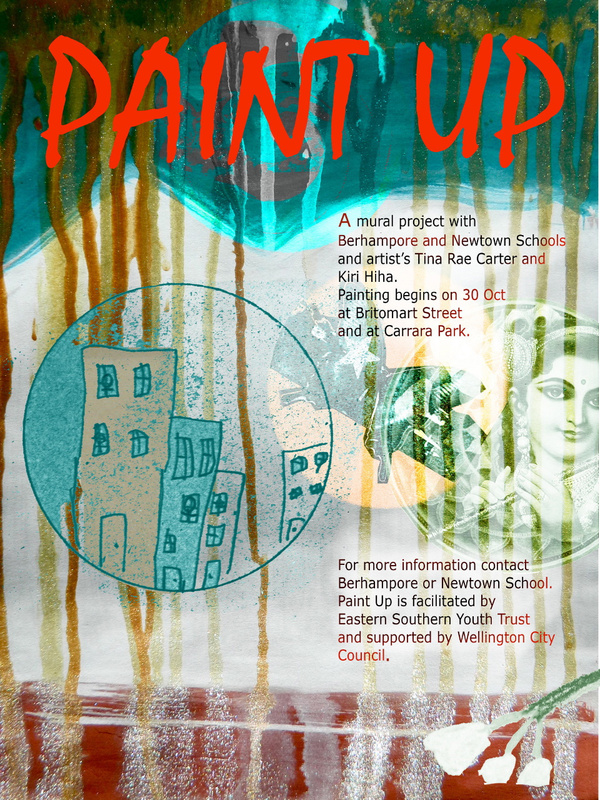 Paint Up Newtown is an Eastern Southern Youth Trust project supported by WCC City Arts, the Newtown Residents’ Association and the Newtown Community and Cultural Centre.